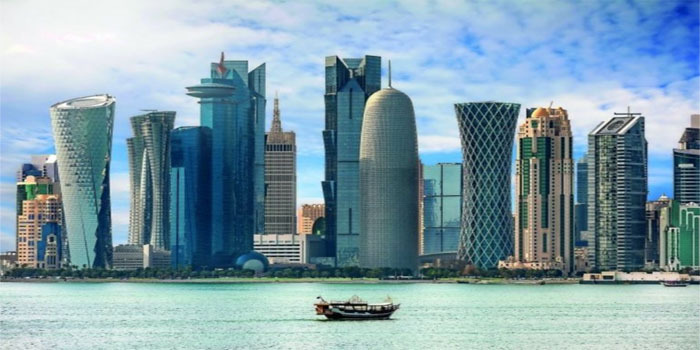 Reaffirming that the blockade has failed to halt Qatar’s growth trajectory, a key government document yesterday revealed that the country’s nominal GDP witnessed an estimated 9.9 percent growth in 2017, while maintaining a benign inflation rate of less than 1 percent. The Qatar Central Bank (QCB) in its 2017 annual report released yesterday noted the Qatari economy during 2017 remained robust and stable. Riding on the recovery in global energy prices, the nominal GDP’s 9.9 expansion was against a contraction of 7.4 percent in the previous year; and showed a sharp gain in terms of trade. Real GDP growth during 2017 decelerated somewhat to 1.6 percent from 2.2 percent. However, much of it was due to self-imposed moratorium on new projects in the North Gas Field and Opec+led cut in oil production. Nominal GDP reached QR610bn in 2017 as compared with QR554bn in the previous year. The share of hydrocarbon GDP in overall GDP increased to 32.7 percent in 2017 from 30.3 percent in 2016, while share of non-hydrocarbon GDP declined from 69.7 in 2016 to 67.3 in 2017. “The developments in the local economy clearly indicate they are not affected by the repercussions of the siege. The internal and external balances of Qatar have improved markedly. The budget deficit has improved to less than 6 percent of GDP. The current account has managed to balance the payments and restore surplus status, which amounted to 3.8 percent of GDP. QCB has also taken effective measures to ensure that liquidity remains comfortable in the system to facilitate an adequate flow of credit to the productive sectors,” QCB Governor H E Abdulla bin Saoud Al Thani said. “This year’s (2017) QCB report comes under an unjust siege imposed on Qatar since June 5, 2017”, the central bank Governor reminded. Qatar’s real non-hydrocarbon GDP grew at a reasonable pace of 4.2 percent despite the economic blockade. Through relocation and readjustment of economic activities, manufacturing, trade and construction sector rebounded strongly in the second half. Wholesale and retail trade and financial and insurance sectors also recovered significantly by the fourth quarter of 2017. This reflected the resilience of the economy against shocks, enabled by the economic diversification strategy pursued in recent years. The QCB’s annual document noted that inflationary situation during 2017 remained benign even while global commodity prices rose and nominal effective exchange rate depreciated. Headline consumer price inflation averaged 0.45 percent during the year. On the fiscal front, the year witnessed a significant decline of 30.4 percent in the budget deficit even with a lower total revenue from the previous year, partly a reflection of implementation of fiscal reform measures. On the other hand, the current account balance recorded an increasing surplus during the year as against the deficit in the previous year, as energy prices recovered under the combination of strengthening global demand and supply restriction. For the whole year, it recorded a surplus of QR23.4bn, forming about 3.8 percent of GDP. Thus, the economy came out of twin deficits problem witnessed in the previous year. The overall balance of payment, which recorded a larger deficit during the second and the third quarter in the immediate aftermath of the economic blockade, shrank sharply by the fourth quarter of 2017, restoring normalcy.